Since 1946 four generations of locals and visitors have experienced the famous food and hospitality of the Owens, and Shannon family. Owens' Restaurant serves the rich cuisine of the Coastal South, influenced by the provocative culinary flavors of today. Menu highlights are fresh off the boat seafood and shellfish, Whole Maine lobster, tender aged Angus beef, ribs, pasta, and outrageous homemade desserts. Market availability of seasonal ingredients determines the chef's choice of nightly specials. An exceptional wine list rounds out the menu. Come enjoy the cuisine of the coastal south at the flagship of Outer Banks Restaurants. In what has become an annual highlight event, Owens' is proud to offer their 4-course Lobster-centric event again for Taste of the Beach 2019. Please come and enjoy it with us on any of the 4 nights of Taste of the Beach, Thursday through Sunday. Seating from 5:00 to 8:30pm each night. This is a rolling start so you can arrive within that time, anytime, to enjoy your meal. Choice of Caribbean lobster stack, poached lobster, mango, avocado and Key lime vinaigrette or Lobster bisque, Maine lobster in a creamy soup laced with sherry. Broiled 4oz. 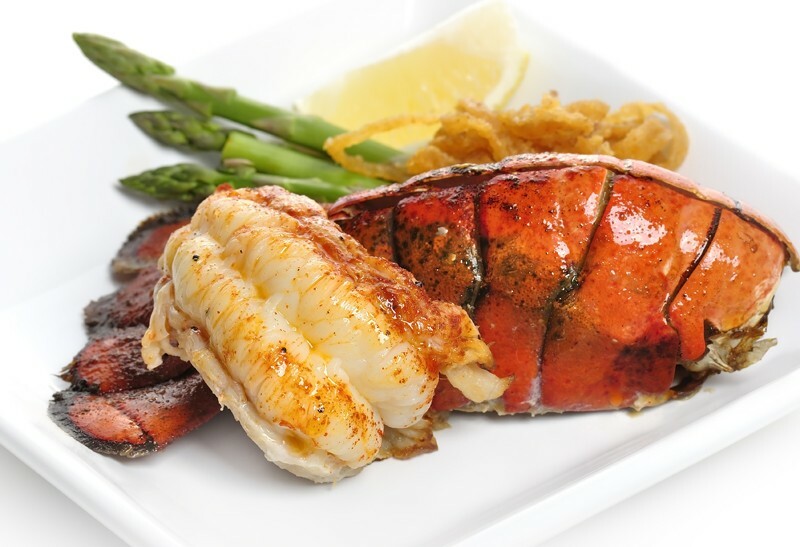 Maine Lobster Tail paired with a petite filet, grilled to perfection and baked oysters topped with bacon, onion, parmesan, roasted red pepper, lobster and butter, served with grilled asparagus, mushrooms and seabreeze potatoes. or Jumbo Shrimp and Maine Lobster chunks sauted with sweet peppers, onions, fresh basil and tomatoes, in a Chardonnay butter sauce with linguini and parmigiano-reggiano cheese. Gratuity is NOT included in this advance ticket price so please bring some pocket cash for tipping your server or tip for the entire amount of your service with your additional purchased drink order. Tea, coffee and soft drinks are included in your ticket price but alcoholic beverages are not. You may purchase (additionally) whatever you like to drink while you are dining. Please be careful to order tickets for the correct night of your expected attendance. **A 3% fee will be added to your cart at checkout to cover OBRA administrative fees.